The Hawaii-Pacific Chapter of the Medical Library Association traces its roots to a small group of librarians from the seven larger medical libraries in the Honolulu area. They began meeting informally beginning in the spring of 1969. During their luncheon meetings, they discussed common problems, addressed issues specific to a particular library, and developed a sense of cooperation with each other. Included in this group were James H. Parrish, Daniel Mallchok, Shirley Robinson, Ellen Strawn, and Peggy Place. At the October 27, 1969 pre-conference meeting, the Medical Library Association (MLA) Board granted the librarians permission to establish a MLA Regional Group. The Hawaii Regional Group of the Medical Library Association was established with James H. Parrish of the Hawaii Medical Library serving as the Group’s acting chair. The Group later changed its name to the Medical Library Group of Hawaii in 1971 and then to the Hawaii-Pacific Chapter of the Medical Library Association in 1995. 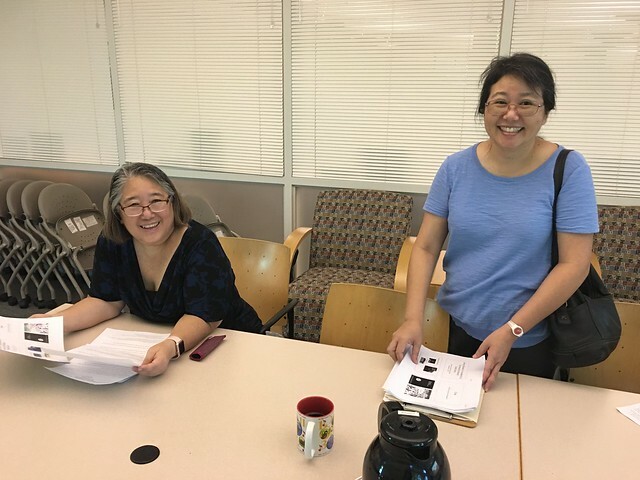 After its formation, the Hawaii Regional Group-MLA joined with Pacific Southwest Regional Medical Library Services (PSRMLS) to host a workshop for medical librarians with a MEDLARS training session for medical personnel. Forty-six people attended the two-day “Medical Librarians Workshop” in March 1970. Since then, the Chapter has been very fortunate to have had assistance from the Pacific Southwest Regional Medical Library (PSRML) currently the Regional Medical Library for the National Network of Libraries of Medicine, Pacific Southwest Region (NNLM PSR) to sponsor continuing education courses on a variety of topics. This workshop marked the beginning of the Chapter’s efforts to promote life-long learning among its members. The Chapter has since sponsored classes on a variety of topics, including “The Care and Preservation of Library Materials” (1974), “Effective Communication” (1983), “Planning : Strategic and Practical” (1985), “Marketing of Library Services” (1986)”, and “Introduction to Informatics” (1999). The Chapter has also featured nonlibrary guest speakers on replantation and microsurgery, neuropsychological testing, history of medicine in Hawaii, and medical practices in Polynesia. In Septermber 1991, the Chapter was one of three chapters to pilot an MLA Journal Club. The journal club’s first topic of discussion addressed training issues in end-user searching. One of the highlights in the Chapter’s history occurred in 1979. MLA held its annual meeting in Hawaii, for the first time ever, at the Hilton Hawaiian Village Hotel. Attendees were greeted with leis and enjoyed Hawaiian entertainment, hula, and wonderful food at the annual banquet. Although a United Airlines strike and all grounding of DC-10s due to a suspected problem prevented many of the attendees from returning home on schedule, those stuck in paradise for another day or so did not seem to mind too much. A new tradition for the Chapter began in 1992. For its annual meeting that year, the Chapter invited Lucretia McClure to be the guest speaker. Since then, the Chapter annually extends an invitation to the immediate Past President at MLA to speak at its annual meeting. Although the Hawaii-Pacific Chapter remains one of the smallest MLA chapters, it covers a wide geographic area. The Chapter continues to facilitate cooperation and resource sharing between its members, as well as professional growth. The Chapter’s original mission statement states, “The Medical Library Group of Hawaii (MLGH) is an organization made up of professional and non-professional persons to promote cooperation among medical and allied libraries in Hawaii and the Pacific Area and assist in developing their resources.” Embracing this concept, members have developed and implemented several projects since the 1970s. Many of these efforts continue to today in one form or another. The Pacific Area Union List of Medical Serials (PAULMS) originally funded by the Regional Medical Program of Hawaii in 1972 evolved into the Chapter’s Union List of Serials in 1983 which was eventually discontinued.